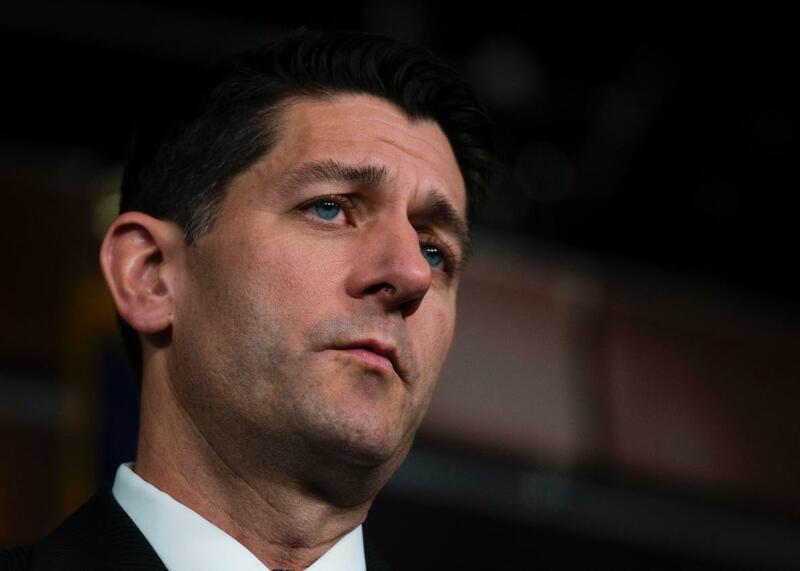 Paul Ryan says it’s fine if 22 million Americans “choose” not to buy health care. The empathetic look of man who is deeply concerned about the capital gains tax rates of couples who earn $250,000 or more in a year. On Monday, the Congressional Budget Office reported that the Senate’s Obamacare repeal legislation would leave 22 million Americans uninsured within a decade. Most people in Washington, both Democrats and Republicans, seem to have accepted that this forecast is, in fact, not flattering to the bill (which is one reason why a vote on the thing has been postponed). But a few stalwart conservatives have tried to frame it as a positive. Most notable among them: House Speaker Paul Ryan, who spent an interview on Fox & Friends trying to spin the CBO’s estimate like a dreidel. It’s the smile that makes it so eerie, right? In an extremely narrow, technical sense, Ryan is almost right: The CBO does say that under the Republican plan, Americans would choose not to buy insurance, in part because they’d no longer be required to by law. But that’s a bit like saying a poor single mother of three is choosing to skip meals so her kids can eat. It’s not really a choice. It’s a sacrifice. Likewise, many people (though, to be fair, not all) would choose not to buy insurance under the Republican plan because the premiums and deductibles would no longer be affordable. In the nongroup market, some people would choose not to have insurance because they choose to be covered by insurance under current law to avoid paying the penalties. And, under this legislation, without the mandate penalties, some people would forgo insurance in response to the higher premiums that CBO and JCT project would be charged. In other words, some young and healthy adults would drop their insurance because they only purchase it today due to Obamacare’s individual mandate. Some low-income and older adults would drop their insurance because it would become unaffordable—especially if they were previously eligible for Medicaid, which the bill would significantly curb. As the CBO notes, a 40-year-old making $11,400 in 2026 could choose to buy a plan with a $300 premium and a deductible equal to more than half their income. Or they could choose to buy a plan with a $1,700 premium and a deductible equal to more than one-third of their income. “Many people in that situation would not purchase any plan,” the CBO notes. You know, that would just be their decision. I am sure these Americans will be grateful to Paul Ryan for giving them the opportunity to make such a liberating choice.